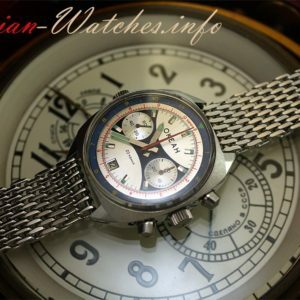 Movement: Mechanical Poljot 31681 caliber, hand-wound, 25 Ruby jewels, mean-daily rate from -20 to +40 sec/day, 42-hour power reserve with chronograph switched off, 37-hour power reserve with chronograph switched on. 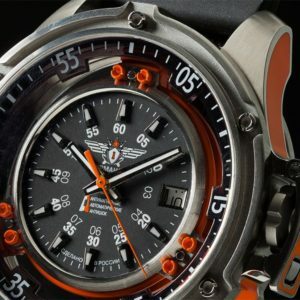 Indicators: minute counter side hand at 3 o'clock, second counter at 9 o'clock, 24-hour scale at 6 o'clock, date window at 6 o'clock. 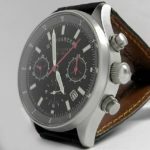 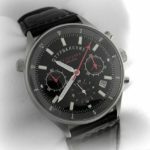 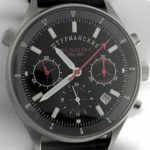 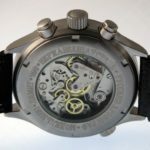 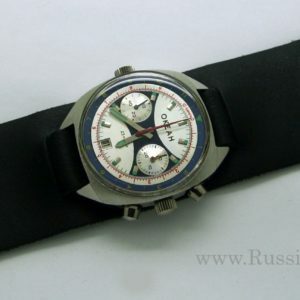 Functions: Chronograph, stopwatch with 30-minute summing action, hours, minutes, seconds, 24-hour scale, date-of-the month. 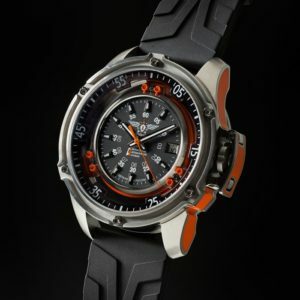 Face: Black, the hands are coated with luminous Super LumiNova paint, making it easier to see in the dark. 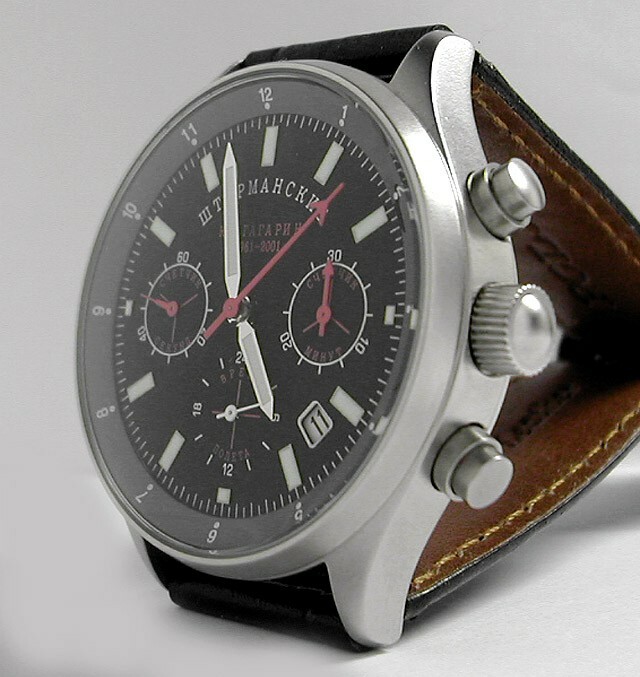 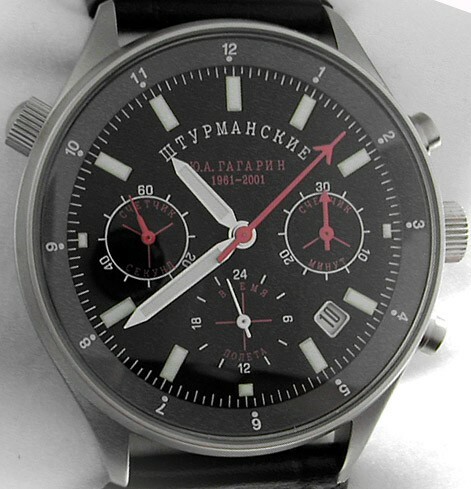 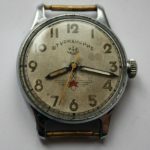 Sweep-type chronograph second hand. 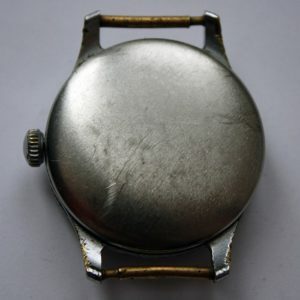 Case: Round, all stainless steel, diameter 44 mm, height 13.7 mm, mineral glass, screwed open (transparent) caseback, Water Resistant 3 ATM. 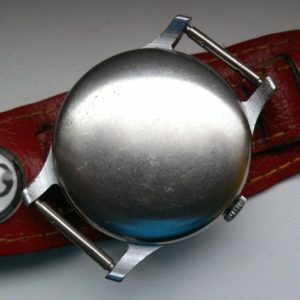 Wristband: Brand leather strap. 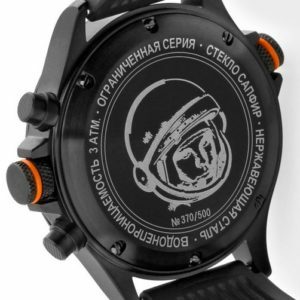 The watch comes in a gift box with user's manual in English/Russian.